Ever since its creation, the park has fulfilled its calling as an oversize playground. Formerly, various winter sports were practised here, such as snowshoeing, tobogganing, skiing, skating and hockey in the first covered skating rink in the world! Here the Québec Bulldogs even won the Stanley Cup twice in the 1910s. Crowds of people used to attend the horse shows and the city’s elite enjoyed a game of golf on the Plains. Today the public at large can practice, singly or in a group, sports such as in-line skating, jogging, hiking, cycling, football, soccer, cross-country skiing and many more recreational activities in a highy stimulating environment. This mixed-use interpretive trail for pedestrians and cyclists, near Gilmour Hill, is designed to allow different park users to enjoy the park safely. 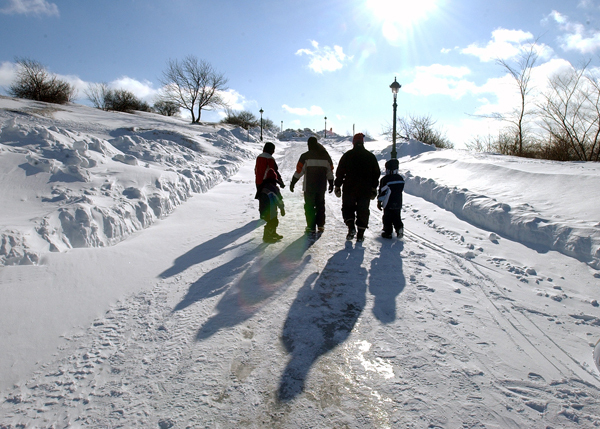 The 1 km route celebrates the area's history with interpretive signs and constitutes a valued link between Promenade Samuel-de-Champlain and Québec's Upper Town. During the summer, the park users can enjoy 1.4 km of multipurpose tracks layed out all around the Playing Field. There is no fee associated to these tracks, but applications are required to use the grounds for certain sports activities and fees may apply (418-648-7289). 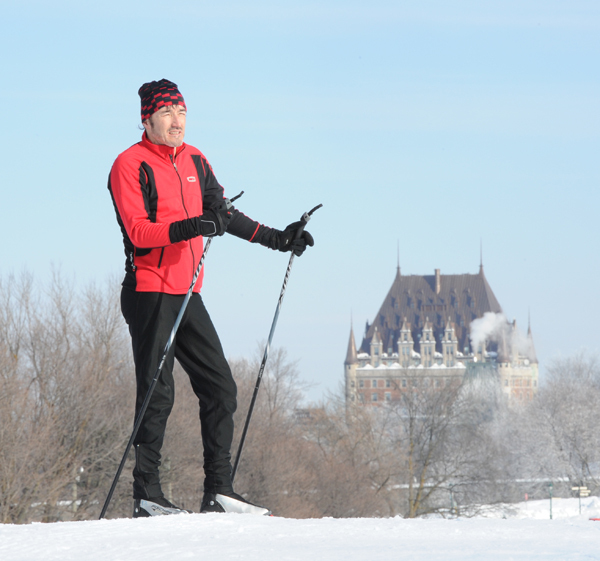 During the cold season, more than 11.5 km of trails are provided for skiers, as well as nearly 4 km of trail round trip for snowshoeing and 6.7 km of walking trails. Two heated rest areas, a skaters' chalet and a waxing room are also available for visitors. There is an ice rink located a stone's throw from the Musée national des beaux-arts du Québec, at the Playing Field. Equipment rental (skis, snowshoes and ice skates) is possible at the skaters' chalet.